♨ The skinny on Google's mobile ranking algorithm; ♨ How to use Periscope (and what is it?! ); ♨ Bing now serves one-page results; ♨ Facebook's embedded video player; ♨ YouTube autoplay is officially here; ♨ Google's tools to reduce your data usage; ♨ Taylor Swift is the World's Greatest Leader... wait, what?! ♨ Galaxy S6 and Galaxy S6 Edge prices; ♨ ...and more. Periscope is a way to share and watch live video broadcasts from your iGadget of choice. It’s a ‘a visual pulse of what’s happening right now‘. It lets you ‘discover the world through someone else’s eyes‘. And it’s the new hottest thing that just might be here to stay. I definitely think you should explore Periscope over the weekend, and here’s everything you need to know to make your periscoping easier. April 21 is the deadline Google set for the webmasters to get mobile ready or be deranked under Google’s mobile friendly algorithm. I’d pay attention to this one if I were you. Here’s the skinny on what you need to know. READ IT. Just in case you are wondering if mobile traffic is really worth it, here are some numbers: mobile search queries are 29% of all searches in the U.S.
Wow… Bing is so confident in the quality of their search results they are showing the first page only. Blekko search engine no more: its team and technology are now part of IBM’s Watson technology. Facebook launched embedded video player for non-Facebook websites. Facebook is in talks with media companies about hosting their content, rather than directing users to external links. Ouch. Facebook Messenger app is now Facebook Messenger platform. Here’s what it means. YouTube autoplay is officially here: YouTube now serves desktop viewers a series of continuously playing videos. Stomach-churning and fascinating at the same time… UC Davis broadcasted lung cancer surgery on Twitter. Not sure why you’d want to, but you can now feature comments from Reddit users via Reddit’s new embeddable comments feature, which works much like Twitter’s embedded tweets. Looking to buy a new domain anytime soon? Keep in mind: consumers prefer to click on search results with a .com domain rather than a new domain. Definitely check this out: Google’s data compression proxy service gives you the tools to reduce your data usage. You’ve got to be kidding me… World’s 50 Greatest Leaders for 2015 list from Fortune. Taylor Swift is #6. As of right now, you can preorder Galaxy S6 and Galaxy S6 Edge smartphones; here are the prices from different carriers. Nothing like a great sense of humor! A YouTube rep replied to The Daily Dot’s request for comment on a story with an animated GIF. The Daily Dot staff assumed it was a joke. But then the YouTube rep assured them it was not. “The GIF really was our official response,” he wrote. I am satish from Bloggingden.com. Really very important material for me. Actually this is my first visit to this site. Thank you Ana for this marketing news from trafficgenerationcafe.  You are very welcome, Satish; welcome to Traffic Generation Café! Kind of you to stop by and let me know, Kay! Once again I got pointed out to a likeminded marketing blogger that offers a piece of the puzzle that I didn’t already have. Problem: Title for next blog post. …and used a formula on that post to churn out over half a dozen great ideas in less than a minute. PLUS there’s about 67 other ideas for me to plug in, using my keyword/topic and audience in mind. Thanks Ana for the introduction and thanks Abrar for the easy, almost done-for-you formulas! It’s definitely not *as* fun, that’s for sure, but it sure does save me a lot of time. I’m not much of a creative type when it comes to things like that. Loved your Google+ post on the upcoming mobile friendly algorithm. It covered so many things that I just needed to check in. Thanks a lot for that update and the mention as well. Your marketing skinny is always on top. Pleasure, Abrar; thanks for stopping by.